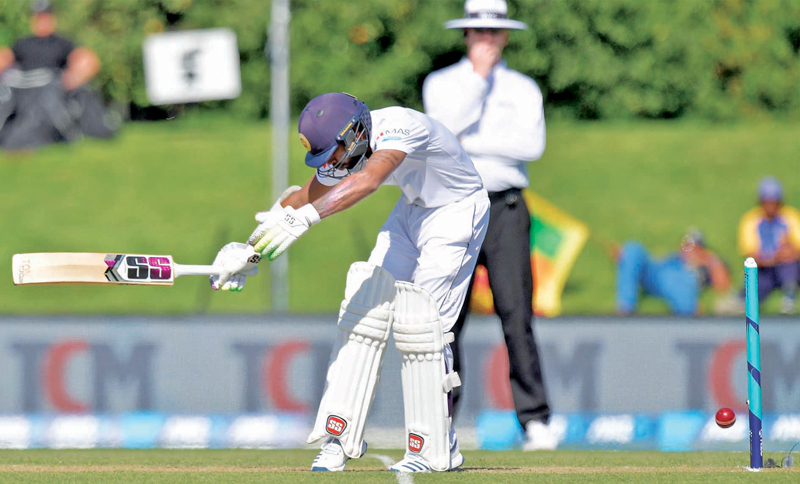 Chief selector Ashantha de Mel blamed the present domestic structure for the poor batting techniques displayed by the Sri Lankan batsmen against short-pitched bowling in New Zealand where Sri Lanka lost the two-Test series 1-0. De Mel was of the view that the Lankan batsmen should have batted out the last two days of the second Test at Christchurch as they had done in the first Test at Wellington. Sri Lanka set a mammoth target of 660 runs for victory crumbled for 236 in their second innings to hand out to New Zealand a record 423-run win. “If New Zealand could have scored 585-4 we also should have been able to bat for two days on that pitch. The ball wasn’t swinging in the second innings so they kept pounding it short and our batsmen must have a technique where they can watch the ball and leave it rather than duck without looking at it. What happens is that sometimes the ball bounces and sometimes it doesn’t,” said De Mel, Sri Lanka’s pioneer Test fast bowler of the eighties. “Our batsmen if you watch them the way they are playing the short pitched balls they are all taking their eyes off the ball. They are ducking looking the other way if you watch the way (Dinesh) Chandimal and a lot of the other guys got out in the second innings at Christchurch. They were going to get pounded so the thing is they have to find a recourse for that. “Somehow (Angelo) Mathews has found some sort of a recourse; he watches the ball and he goes for the hook shot. It is something that you have to at times take on, otherwise the bowler will keep bouncing at you. If you don’t take any action it will be a dot ball all the time. They are bowling five balls at your body and there is no run rate so you have to score off one or two deliveries. The short-pitched ball should become their stock delivery otherwise they are bowling about five bouncers an over. Surprisingly the umpires didn’t caution the bowlers,” he said. Speaking further De Mel said, “The thing is we have to prepare wickets where there is a little bounce in domestic cricket because our fast bowlers if you watch most of them are bowling with square arm actions and none of them are seaming the ball like the New Zealand bowlers who are swinging and seaming. The delivery points of Dushmantha Chameera and Kasun Rajitha is very low so actually they are bowling with a low trajectory and most of the time the seam is not hitting the ground. We are not getting the swing and the seam which other fast bowlers are getting. “You watch the Indian fast bowlers, Pakistan, New Zealand, Australia or South Africa all their bowlers get some seam movement and also reverse swing. Our guys are not getting that and we have to seriously look at it. Suranga Lakmal is the only guy who gets a little bit of movement and if there is a little bit of grass he is the only one who is taking wickets. De Mel pointed out that all these shortcomings was due to the level of cricket that is being played domestically. “Indian captain Virat Kohli said the success of India is their domestic structure which they had strengthened. They took a call and said they are going to prepare wickets that are green and fast in India where normally you get very slow turners. Now if you see the Indian batsmen are able to cope up with the Australian pace attack and they are scoring hundreds compared to Australia where not a single hundred has been scored so far,” pointed out De Mel. “The main thing is the local cricket structure both school and club without that nursery we cannot produce quality cricketers. In those days from school we had cricketers playing for the country. Now they can’t even get into a club side.